← Is the SBC’s Tent Big Enough for ALL Marginalized Christian Women? 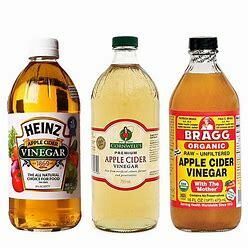 I have been drinking Bragg’s Apple Cider Vinegar every morning for years. I have added a tiny bit of local honey and lemon juice in a small juice glass I inherited from my grandmother. My bloodwork just came back great. “Keep doing what you are doing!” Great words to hear! I use it for many things! Thanks again for a great post! You are welcome! Keep that good info coming!! I’m wondering, Ellie, if wine vinegar is just as good? Are the properties the same? We have some homemade red wine vinegar my father-in-law started years ago. It’s sort of the same principle as the yeast starter that keeps going. This has what over here we call the “mamma” of the vinegar. So I guess I should learn to like Hubby’s vinegar. I really don’t like vinegar at all, except for balsamic. How is that as far as good properties? Excellent, my favorite too! I think I could drink it straight from the bottle, ha! BTW, Ellie, I never did receive from Amazon the new edition of your novel. There seems to be problems with Amazon.ca. Oh Carol, I’m so sorry. Amazon never replied to my inquiry either and since I sent that out over a month ago, I simply forgot about it. I’m sorry to be so thoughtless. (I’ve been incredibly busy but that’s no excuse!) sure wish I knew how to create a hard copy through CreateSpace. I’ve gotten all the way to the format conversion of an 8 1/2 x11 page to a 6×9 or 5×7 and then I get stuck. Sure helped with a recent bout of salmonella. Many folks in my office are trying ACV, but say it needs to be a certain brand. Any truth to that? Not so sure about that claim. They might have been talking about raw or unfiltered types. It could be advertising hype. Most generic products, but not all, are basically created in the same place and depends on the integrity of the company. Amen! I look forward to the time when God rids this earth of those ruining it with toxins and pollutants (Revelation 11:18) and when He heals us of all of our ailments (Isaiah 33:24; Revelation 21:4). Thank you for reminding me of the benefits of ACV. I somehow got off track with taking it but will be sure to continue. Thank you! Very versatile and so much healthier than downing a bunch of pills.. great around the house too. thanks Ellie. PLEASE note that if you’re going to drink ACV you must do it using a straw and dilute it in a lot of water. It is damaging for the enamel on your teeth and without diluting it, it causes ulcers and all kinds of problems. I drank about 2tbs in a glass of water twice a day for just over a month, and I lost 3kgs without any exercise (granted I was also trying to eat well, but I wasn’t too hard on myself). It also regulates my appetite, and fixed my IBS! It changed my life and I highly recommend it. Thank you for your comment, happiness. I always caution my readers: “Simply because something is good, doesn’t mean more is better.” Too much vinegar can also weakens bones, teeth and affects the heart. It’s all about balance and common sense. I appreciate your taking the time to write and continue on to Happy Health!